Janaka Wijayasiri is currently a Research Fellow and Head of International Economic Policy research at the IPS. Since joining the IPS in 1999, his areas of research interest have been primarily related to trade issues at the bilateral, regional and multilateral levels. These include issues of policy significance to Sri Lanka in areas covering bilateral and regional preferential trade initiatives, multilateral negotiations under the World Trade Organization (WTO) and issues related to the textile and garment, tea and spice industries in Sri Lanka. He has been part of Sri Lanka’s official delegation representing the academia at regional forums such as Bay of Bengal Initiative for Multi-Sectoral Technical and Economic Cooperation (BIMSTEC) and the Indian Ocean Rim Association for Regional Cooperation (IOR-ARC). He has also participated in various bilateral trade negotiations with other countries which Sri Lanka currently seeking agreements with. Janaka Wijayasiri has a number of publications to his name which have appeared as articles and chapters in both journal and book publications. He is a member of the Editorial Board of Journal of Indian Ocean Rim Studies (JIORS). 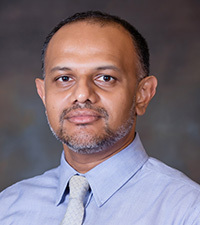 Janaka Wijayasiri holds a BA in Economics with Development Studies from the University of Sussex, UK and an MA in Economics of Development from the Institute of Social Studies, the Netherlands, and PhD from Monash University, Australia. He has also received training in GTAP (Global Trade Analysis Project) from the Center for Global Trade Analysis, Purdue University, Canada. Madurawala, S., Hirimuthugodage, D., Premaratne, D. and Wijayasiri, J. (2017) “South Asian Country Study on Products with Regional Trade Potential and Associated Non-tariff Barriers, with Special Focus on Women Micro Small Medium Enterprises (WMSMEs) – A case of Sri Lanka”, Report prepared for UNDP Regional Centre, Bangkok. Wijayasiri, J., Premaratne, D. and Perera, N. (2016) Exporters’ Perceptions on Accessing the Chinese Market under China-Sri Lanka FTA, Prepared for The Embassy of the People’s Republic of China, Colombo. Wijayasiri, J., Jayaratne, J. and Ekanayake, E. (2015/2016) One-Stop-Shop Functions of the Board of Investment (BOI), Report Prepared for JICA. Wijayasiri, J. (2009) ‘Opportunities and Risks of Liberalizing Trade in Services:Maldives’ Country Study‘, in S. Kelegama (ed.) Trade in Services in South Asia: Opportunities and Risks in Liberalization, Sage Publications, New Delhi. Wijayasiri, J. and Dissanayake, J. (2008), Trade, Innovation and Growth: The Case of Sri Lanka’s Textile and Clothing Industry, IPS Working Paper Series No. 12. Wijayasiri, J. and Dissanayake, J. (2008) Trade and Innovation in the Textile and Clothing Industry: Case study on Sri Lanka, A Report for the Trade and Agriculture Directorate of the OECD. Wijayasiri,J. (2007) ‘Maldives in the WTO’, in S. Kelegama (ed.) South Asia in the WTO, Sage Publications, New Delhi. Kelegama, S and Wijayasiri, J. (2004) ‘Overview of the Garment Industry in Sri Lanka’, in S. Kelegama (ed.) Ready-made Garment Industry in Sri Lanka: Facing the Global Challenge, Karunaratne & Sons, Colombo. Kelegama, S. and Wijayasiri, J. (2004) ‘Indo-Sri Lanka Bilateral Free Trade Agreement and the Garment Industry’, in S. Kelegama (ed.) Ready-made Garment Industry in Sri Lanka: Facing the Global Challenge, Karunaratne & Sons, Colombo. Weerakoon, D. and Wijayasiri, J. (2004) ‘WTO Agreement on Textiles and Clothing: Implications for the Garment Industry’, in S. Kelegama (ed.) Ready-made Garment Industry in Sri Lanka: Facing the Global Challenge, Karunaratne & Sons, Colombo. Wijayasiri, J et al. (2004) Liberalization of International Air Transport in Sri Lanka: Policy Options, International Economic Series No.7, July 2004, IPS, Colombo. Kelegama, S. and Wijayasiri, J. (2003) ’50 years of Economic Cooperation’, Sri Lanka –Germany: Fifty Years of Friendship and Cooperation, Embassy of the Federal Republic of Germany in collaboration with the German Technical Cooperation (GTZ), Colombo. Wijayasiri, J. (2003) ‘Cooperation in Tourism among the BIMST-EC Countries: Prospects and Constraints’, Bangladesh Institute of International Studies Journal, Vol.24, No. 4, pp.483-510. Weerakoon, D. and Wijayasiri, J. (2002) ‘Regionalism in South Asia: The Relevance of SAPTA for Sri Lanka’, South Asia Economic Journal, Vol. 3, No. 1, January-June 2002. Wijayasiri, J. (2002) ‘Book Review: Technology, Economic Growth and Crises in East Asia’, Sri Lanka Economic Journal – New Series, 3(1) June 2002, pp 126-129. Wijayasiri, J. (2002) ‘Book Review: South Asia Development and Cooperation Report 2001/02’, South Asia Economic Journal, Vol.3, No. 2, July-December 2002, pp.287-291 . Wijayasiri, J. and Jayawardena, T. (2001) ‘South Asia’s Competitive Advantage in Knowledge-based Economy; in S. Kelegama (eds.) Impediments to Economic Cooperation in South Asia, Friedrich Ebert Stiftung, Colombo. Weerakoon, D. and Wijayasiri, J. (2001) Regional Economic Cooperation in South Asia: A Sri Lankan Perspective, International Economic Series No. 6, November 2001, IPS, Colombo. Institute of Policy Studies (2000, 2001, 2002, 2003, 2004, 2006, 2007, 2014, 2015) Contributed Chapter on ‘International Environment’, in State of the Economy Report, Karunaratne & Sons, Colombo. Weerakoon, D. and Wijayasiri, J. (2000) ‘Garment & Textile Sector in Sri Lanka’, South Asian Economic Journal, Volume 1, No.2, Sept. 2000. Wijayasiri, J. (2000) ‘Book Review: Trade policy issues in Asian Development’, Sri Lanka Economic Journal – New Series, 1(2) December 2000, pp 136-139. Gunatileka, N. and Wijayasiri, J. (2000) Annotated Bibliography of Macroeconomic and Adjustment Policies in Sri Lanka, MIMAP-Sri Lanka Series, May 2000, IPS: Colombo. Weerakoon, D. and Wijayasiri, J. (1999) Prospect for a Sectoral Dialogue Partnership between Sri Lanka and ASEAN, A Report Prepared for the Ministry of Foreign Affairs, Colombo. Weerakoon, D. and Wijayasiri, J. (1999) Textiles and Clothing Sector in Sri Lanka, A Report Prepared for the World Bank.